We're not sure why (perhaps people are scared to travel on Friday the 13th! ), but these are the cheapest CPT to Durban flights we have seen in a long time (CPT is the airport code for Cape Town International Airport). Quotes were for flights departing CPT between 1344 & 2031 on the 13th Feb 2009, bound for Durban (these may not still be available). 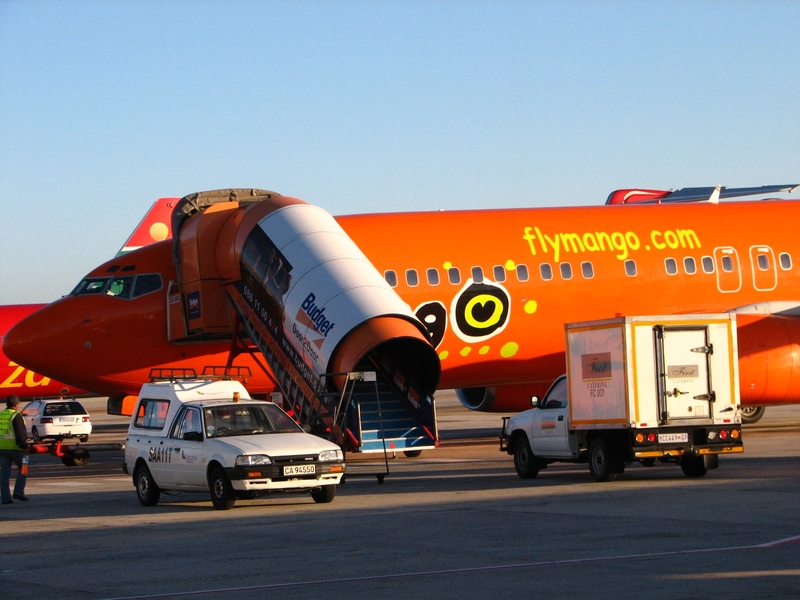 * This flight was available on the Kulula Air site for R826 (in our 10 tips for cheaper flights in South Africa we mention inter alia how BA flights can sometimes be purchased more cheaply on the Kulula Air website). Interesting that you've got to go back to the same date for SAA & Mango, which is SAA's subsidiary. At R299, SA Roadlink were offering the cheapest bus trip we've ever seen from Cape Town to Durban (we've noticed that SA Roadlink seem to drop their prices after they've had a prominent accident). apparently Cape Town is like a mixture of New York, Italy, California, France, Chicago and more! "Some of the low-cost airlines, namely Ryanair, who like to turn a plane around in forty minutes flat, choose to refrain from such customer luxuries as delivering passengers to the terminal. Hence most Ryanair flights dump you on the tarmac and make you walk the rest of the way, shaving whole minutes off their turnaround time." Air Babylon by Imogen Edwards-Jones (can be purchased at Kalahari.net).